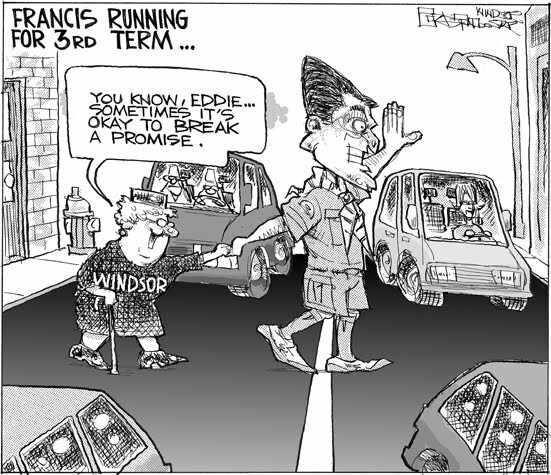 Mike Graston remains the only editorialist at the Windsor Star willing to take on the Mayor. You gotta love today's cartoon after Eddie announced he would seek a third term. 2 More Nutrition Myths - Does Fruit Make you Fat? Good - climate control system. This thing chilled down in some pretty intense heat very quickly, although the smallness of the car contributed to that. The visibility all around is very good - and I especially appreciate the little triangle shaped window in the A-Pillar. Parallel parking gets easier when you're not guessing where the end of his bumper is, you can actually see it past your own side view mirror. Room for Growth: Well, it's a commuter car so it's great around town and it handles well, but rapid acceleration for a quick merge onto the 417 when the air conditioner is blasting - not gonna happen. Trunk space is practically non-existent with the rear seats up, enough room for a bag or two of groceries or a set of golf clubs. This is definitely not a car for a single-car family with a couple of small kids, even if the price is right. Overall - I really liked it, fun to drive, economical, well made and well designed. 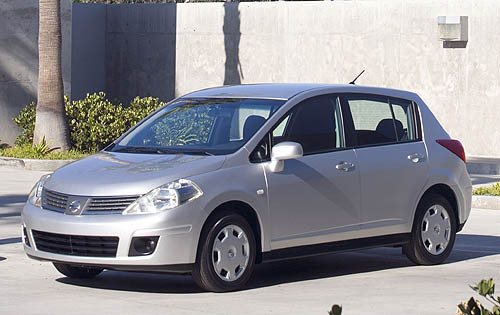 The car competes with and holds it's own against the Toyota Yaris, the Honda Civic, the Chevy Aveo, the Mazda 3 - but it's a limited use vehicle best for those who must drive to work everyday in the big city, with limited highway driving and very limited cargo needs. "...the Samaritan took out two denarii, gave them to the innkeeper, and said, 'Take care of him, and when I come back I will repay you whatever more you spend.' "
I went and spent some time with the patient. I held his hand, talked and prayed with him, I did my best to make sure he was comfortable, and when he was asleep, and I went home to my family. Had that man died later in that evening with no one else in the room at the time of his passing, he would not have died alone. Someone who cared for him, a Hospice volunteer in this case, was with him as he closed this chapter of his life. Many times I see families and friends keeping a round-the-clock vigil and it can be gruelling. Sometimes, though, in spite of their continuing vigilance and care, the family steps out for a moment or goes home to look after their own family, and while they’re away the loved one dies. I’ve seen people quite burdened with guilt about that. I understand that guilt. Just today after I had finished preaching about it and had a chance to practice some Good Samaratinisms, I learned the man I'm writing about had died this morning, probably while I was at church. I remind family and friends and clergy and Hospice volunteers who feel guilty of the other lesson from the parable of the Good Samaritan. He came to the assistance of someone in need, he cared for him, he found him continuing care with the innkeeper, and then, and this is important, he went on his way. The Samaritan did not sit in vigil and frankly, we don’t know if the victim recovered or eventually succumbed to his injuries. We do know that the Good Samaritan cared for and arranged care for him, and then went about his business with the intent to return and follow up on the care. Christ finishes the parable and tells the listener and us to "go and do likewise", not just in caring for our brothers and sisters, but also in knowing when to step back and care for ourselves. This week at my son's Grade 12 Graduation there was an award given in honour of a former member of the Parent Council. I misunderstood the whole concept of the award, thinking it was meant for a parent who had served the school community on the Parent Council, when it fact it was an annual bursary awarded to a worthy student, now in the name of our deceased friend. So as I waited for the winner to be announced, I secretly prayed that finally someone was recognizing my wife's commitment over the past 22 plus years, since our oldest started Senior Kindergarten. He's 27 now. From the time Claire and I attended our first PTA meeting in Toronto, between us we have probably missed only 5 meetings through two cities, three schools, three kids, countless Principals (10 I think) and three incarnations of what exactly a PTA/School Council/Parent Advisory Council actually is and does. 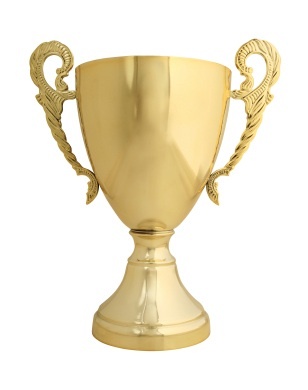 We've raised money for Commodore computers for the library and Smith machines for the football team, AV equipment for the drama department and playground equipment (always the playground in elementary school - it's like that's all anyone ever wants - new playground equipment). Throughout it all, even after my own career and studies made it impossible for us to attend Parent Council meetings together anymore, Claire sat on committees, held office and made sure that the discussion always included a preferential option for the poor, and a reminder that it can't be about fundraising lunches if it isn't also about helping those who have no food at all. Claire kept the high school council on track so that at the beginning of the year the money was going to be there at the end of the year to provide a bursary to support a needy student going on to higher education. Claire pulled the elementary school out of working bingo (back when it was a cash-cow) when it became more about rolling in cash and using it to buy luxuries than it was about using our resources to help our students, and the students in the school down the street, and the students in the school across town. We learned to raise a lot less money the good old fashioned way, lessons that served us well when the bottom fell out of the bingo market. So - congratulations Claire Tyrrell, who is in my opinion the Parent Council member of the last two decades. Take the summer off. Be happy that there aren't parent councils at the University level.